I am trying a new way of sending out my weekly emails to give you a quick way and a lasting way of reading the Dance Events we are having. This email/post for Dance Events 2017-12-1 will be located on our website for you to find anytime anywhere you have internet access. I will add more features to the emails as time goes to give you more interactive use. Best of all you won’t need to save your email to know what is happening. I’ll send out a link in my usual weekly email to these posts. Jimmi and I have been preparing for our trip to England to celebrate Jimmi’s Gramma’s 100th birthday. Sadly we will be “Celebrating Her Life” instead. Tuesday morning she passed away quietly in her sleep a week before her birthday. Ironically her mother (Jimmi’s Great-Gramma) passed away two weeks before her 100th birthday. We were all looking forward to celebrating and seeing her birthday card from the Queen. But we’ll be with all the family anyway and can celebrate the full life she was so blessed to have. 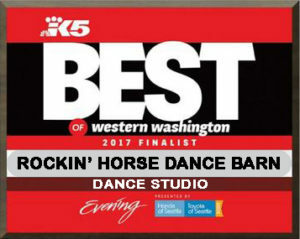 We will not be at the Rockin’ Horse Dance Barn for this Friday’s Dance as most of you already know. But we’ll have a great substitute instructor and DJ for the Lesson and the Dance. This Friday’s lesson will be a line dance called “I Got A Woman”. I picked it because it’s a very fun upbeat song and so is the line dance that goes with it. Join our guest instructor Reba for the Line Dance lesson. And stay for the dance with our guest DJ Rob. He knows what you like and how to play it. 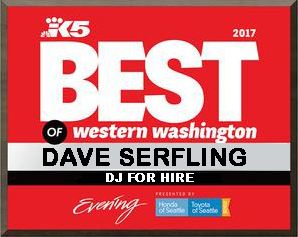 He has been doing a great job for us for several years. Thanks Rob & Reba for covering for us. Please help us by watching our videos each week. We just relearned Shotgun recently in classes so there might be a request for it Friday Night. After your Christmas day with family is over you can join your friends for a casual evening of dancing and socializing. You are welcome to bring any of your Holiday Treats you need to remove from your house!